At our driving school in Sutton our fully qualified driving instructors are guaranteed to give the most enjoyable yet in depth driving lessons available. Learn to drive in Sutton today and open up a world of possibilities in your life, career and future prospects. All our learner cars both automatic and manual at our Sutton Driving School are dual controlled to ensure the safest possible driver training and learning experience, in modern and clean test vehicles. The more driving lessons you book the more you save but don't book to many. But we'll save you even more money on your driving lessons just by being better and quicker at helping you pass your driving test. Learn faster than at any other driving schools in Sutton. Carshalton, Rosehill, Morden and Banstead areas. 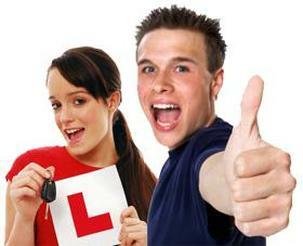 We can provide short notice driving tests in Sutton. Currently people are waiting months to book their driving test date in the local area. However we can fast track this process and find you a last minute cancellation at Sutton driving test centre. All our Qualified DVSA Approved professional driving instructors in Sutton, will ensure that all driver lessons take place in a focused, friendly and relaxed environment so that you develop the safest driving techniques and skills along with the necessary habits that you will need in your driving life in Sutton. Our Intensive and Crash Driving Courses with our Sutton Driving Instructors will help you pass your driving test in only 2-3 weeks time whilst ensuring you are fully at ease and confident in your abilities on and off the road. Introductory Driving Lesson in Sutton for Just £10! If you are looking for the best intensive driving course in London you've come to the right school to help you pass your test in, we can arrange your test in the quickest possible time, in London Driving School and its detailed driving courses in Sutton are the only clear choice of courses. Learn to drive in Sutton and get driving quickly, we provide great lessons and courses at competitive prices in your areas. Give us a call today and we'll quote you a package that will get you driving quickly and cheaply with the best driving instructors in Sutton. Let us help you to learn to drive today. Driving is not rocket science and that's how we teach. We will provide you with practical driving lessons in Sutton and a host of online driving aids that will give you the theory and knowledge you need when driving so you quickly understand the mechanics of a car and how to drive. Email: Please use the contact form stating your postcode or location opposite to request a callback from our one of our local instructors at our school in Sutton.